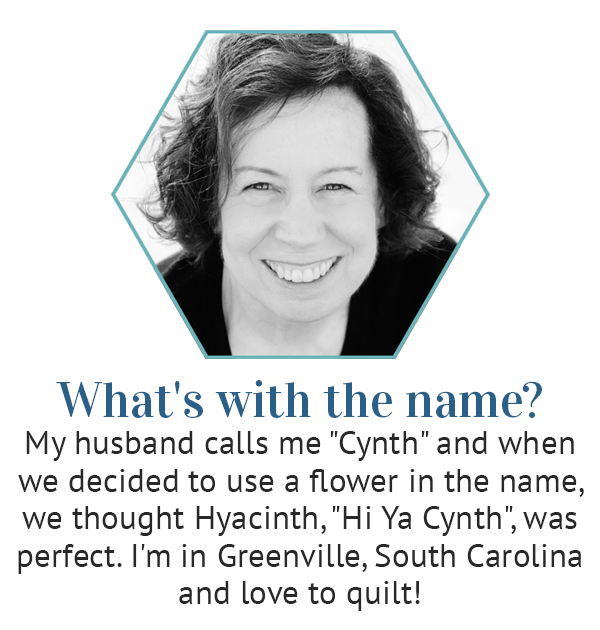 Hyacinth Quilt Designs: Another Mini! It was a fun retreat! I made progress on several projects and will be finishing those up soon. I did get my mini Spools quilt done on the day I got home. 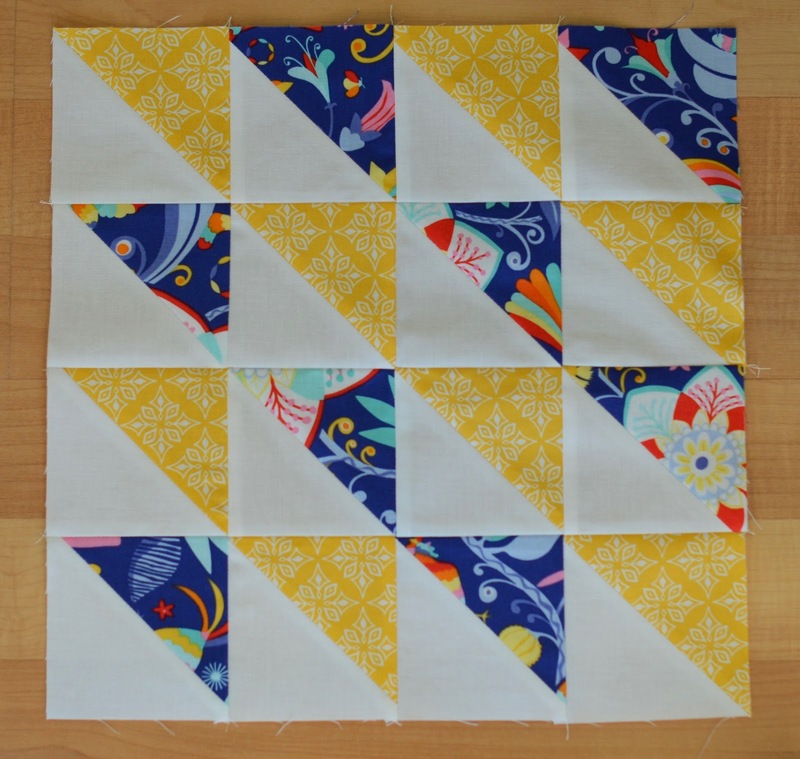 My original plan was to make it short and wide with two rows of four blocks. There really is something aesthetically pleasing about an odd number of blocks. 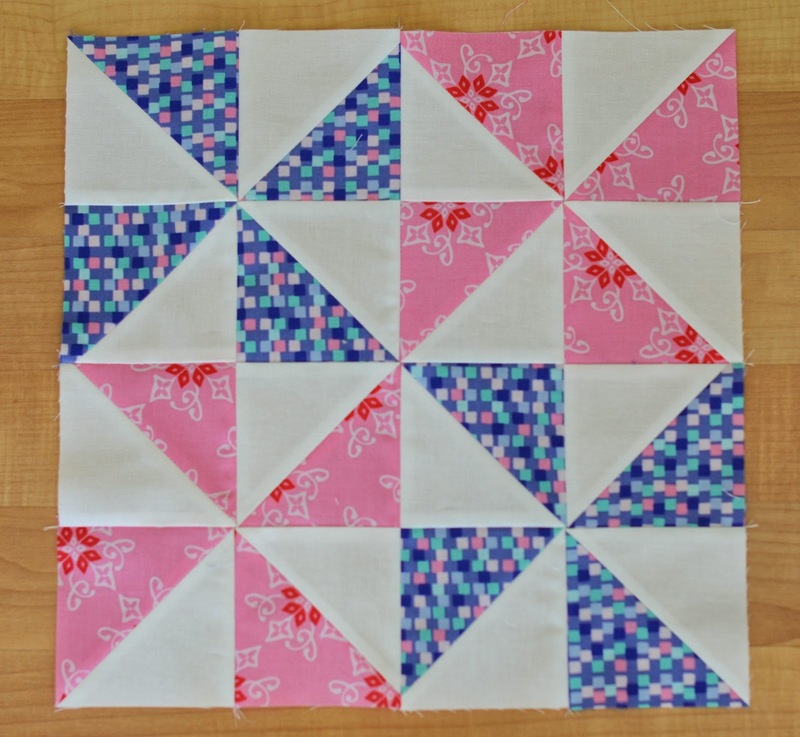 When I got home I ripped it apart, made another block and set it together just like the pattern 3 x 3. 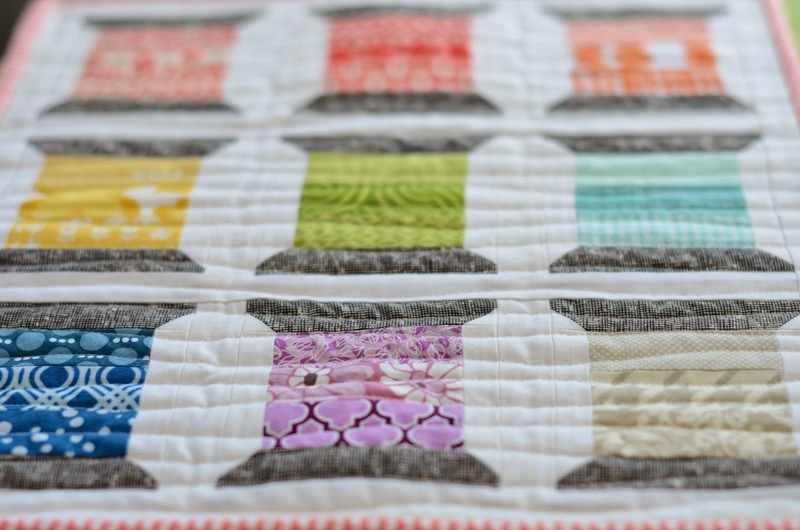 It quilted up quickly with organic, wavy lines. It's now bound and hanging in the sewing room! Gorgeous mini. Love the layout - agree on the number, always appealing to the eye! Cute spools! 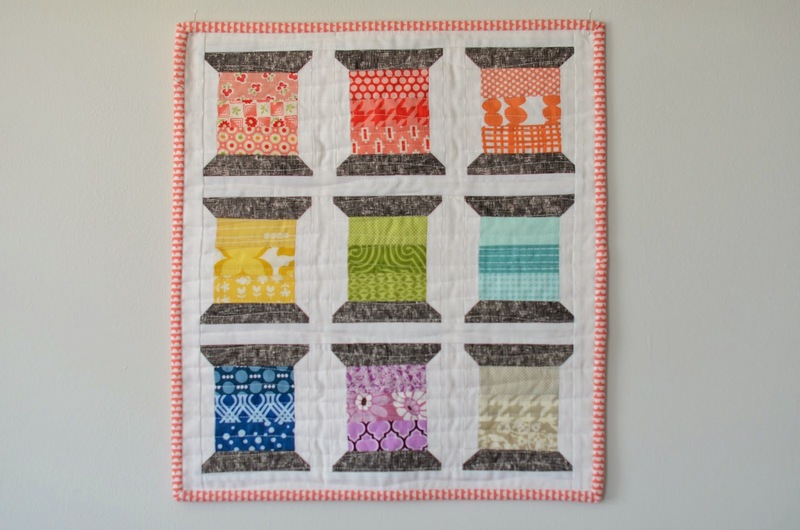 Can't wait to see the Perfect Union blocks!